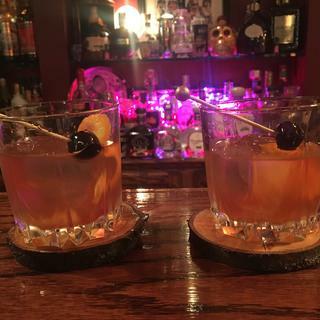 Enjoying an old fashioned at home. My husband loves to enjoy a Southern comfort Manhattan with his friends. One of his friends also loves Maker's Mark Manhattans. So, these cherries are the perfect condiments for perfecting the cocktail. Only THE best cherries you will ever find! These are the best cherries for an old fashioned, Boulevardier, Brooklyn, Manhattan, or any real cocktail. perfect for Manhattans to replace the vermouth - with the syrup adding the right amount of sweetness. And the cherries themselves are real maraschino and quite delicious. I also replaced "simple" sugar in my lime daiquiri on the rocks with a half teaspoon of the syrup and it was perfect!! I absolutely love these cherries and KegWorks is the only reliable place that has them. I am interested on how good they are in a Manhattan drink. I look forward to testing them.